What do you think of when someone says, “San Francisco?” Is it crusty sourdough bread? The Golden Gate Bridge? Hills and cable cars? 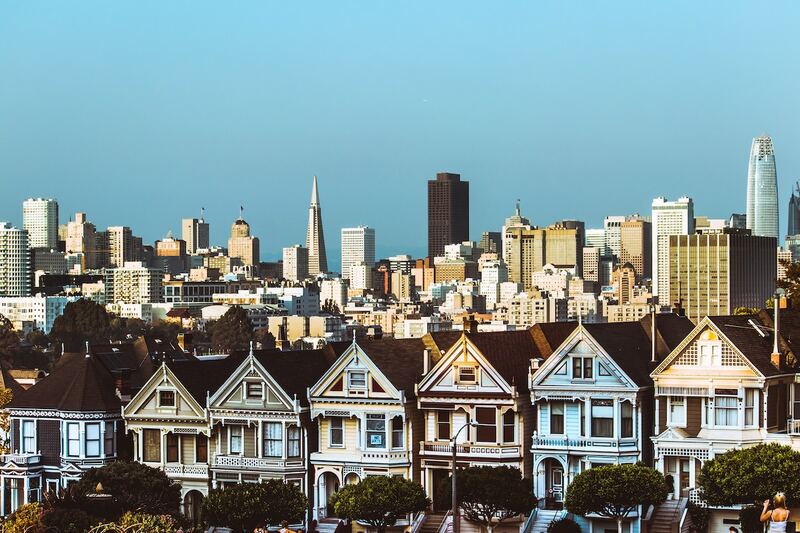 You can get access to all of these things when you visit San Francisco, and experience one of the most culturally diverse and historically rich places in America. If you’re travelling to San Francisco in a large group, you should investigate chartering a bus driven by a professional driver. It takes all of the worries of transportation off your shoulders and allows you to make the most of your trip. Now that we’ve got that squared away, let’s take a look at San Francisco’s most famous and engaging attractions to help you plan your trip. Let’s go to San Francisco! In any city, there are some things that you absolutely must see. 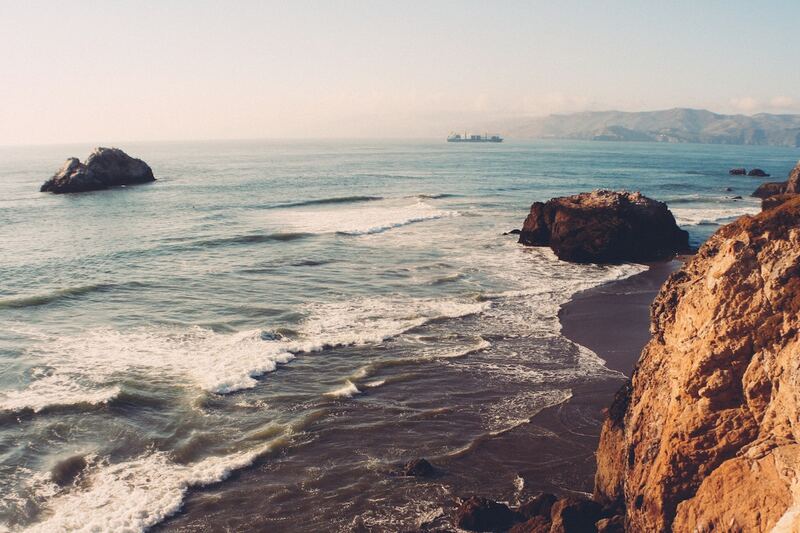 San Francisco is no different, so let’s start with a list of the most show-stopping, eye-pleasing things to see while on your San Francisco getaway. This is the quintessential San Francisco landmark, and one that must be seen to be believed. We’ve all seen the Golden Gate Bridge in movies or on TV, but to see it in person is truly awe-inspiring. The bridge is more than a mile and a half long, and spans the Golden Gate Strait. At a height of about 220 feet above the water, this suspension bridge is a feat of modern engineering technology. When it opened in 1937, it was the longest and the tallest suspension bridge on the planet. You can still walk or bicycle across the bridge, which is especially lovely if you do so with a bus tour group – an experience shared with others is always best! There are also exhibits nearby where you can learn about the history of the bridge’s construction, and about the surrounding area. We’ve uncovered two incredible facts about San Francisco’s Chinatown. Ready? First, it is the oldest Chinatown in North America. Secondly, it’s the most Chinese-populated area outside of China itself. It’s supremely rich in history, and a wonderful place to go with a group on a rented charter bus. Due to particular zoning laws erected in the 19th century, Chinese immigrants were only allowed to live in certain areas of the city. While the West was booming, many emigrated from China to work on the railroads, prospected as gold miners, or opened businesses in Chinatown to serve the growing, burgeoning community. As it stands today, it is an amazing opportunity to experience the culture of the locals in tea shops, restaurants, and many historical landmarks. There is also a museum where you can learn more about the area and the people who settled there, and those who inhabit this densely populated neighbourhood now. You can’t miss it! Alcatraz Island lies in the San Francisco Bay, a little more than a mile offshore. Once an incarceration destination for America’s most dangerous and hardened criminals, it’s now a popular destination for chartered bus tours filled with people hungry to learn more about the island and its history. The name comes from the old Spanish word for pelicans, due to the many birds that covered the island before humans began building on the site. It was first used as a Spanish military garrison, and later housed a lighthouse. After several different uses, a federal prison was opened on the island in 1934 and housed notorious criminals like Al Capone, and the famous Birdman of Alcatraz, Robert Franklin Stroud. And, as you’ve probably heard, no one was ever able to successfully escape from the prison. While traveling with a group, this is a perfect spot to visit with your chartered bus. While the fee to visit this site is far from steep, the hill that makes up Lombard Street is one of the steepest, and most famous, in the world. It welcomes more than 17,000 visitors every day during the summer, and at a grade of 27%, it’s actually too steep for most cars and trucks to drive on. Hence the streetcars that run up and down the hill, through twists and turns that you absolutely must experience while in San Francisco. You’ll find a 600-foot section of the street paved with red bricks that features several switchbacks, which give the street its nickname of “The Crooked Street in the World.” And more than just the street itself, you’ll get to see the beautiful Victorian mansions that line the street on both sides, making this an attraction you definitely will not want to miss. For those of you who enjoy the arts, San Francisco has more to offer than you could possibly consume in a short trip. That said, it’s worth getting a start on what could be a lifetime of exploration. Let’s take a look! In 1915, San Francisco hosted the Pan-Pacific International Exposition. As a means of showing the world that the city had recovered from the earthquake and city-wide fires in 1906, the city invited people from all over the world to showcase their rebuilding efforts, and to encourage trade and investment in the city. One of the buildings built for that purpose was The Palace of Fine Arts Theatre, which is one of the few buildings from the expo that still stands today. Built as an homage to Roman ruins, the building features a 1,100 foot outdoor garden that is situated around a rotunda, all of which nestle right up against a lagoon that reflects the buildings, and allows for a perfect, unobstructed view from across the water. The venue is now open to tourists, which makes it a great spot for your bus tour group. It can also be used for weddings and corporate events, and makes for a remarkable location for any group activity. Art lovers of all stripes will find something to love at the San Francisco Museum of Modern Art. Home to a wildly diverse offering of art by a wide range of artists whose art is represented in many different mediums, the building itself is a work of art, and a sight to behold. You’ll appreciate the convenience of booking this site into your group bus tour itinerary, as more than 500,000 visitors peruse the galleries on a yearly basis. Here you’ll find the world’s most celebrated artists of the modern era, including Chuck Close, Willem de Kooning, Jackson Pollock, Andy Warhol, and many, many more. The building has undergone a series of expansions, permitting the museum to house more than 33,000 works of art. And, you’ll also be able to walk through the 14,400 sq. ft rooftop garden, with plenty of open-air space, as well as a glass pavilion from which you’ll be able to take in the San Francisco skyline. This is one site not to be missed! For the adventurous art-loving groups, San Francisco is also home to the Yerba Buena Center for the Arts. A contemporary arts centre that hosts local, national, and international artists, it is widely known for its simple, yet distinct design, and its diverse range of artistic offerings from different disciplines. Located on the edge of the Yerba Buena Gardens, and across the street from the San Francisco Museum of Modern Art, it’s a great spot for your group to spend the day. When chartering a bus to visit the centre, you’ll have access to the main gallery, where you’ll find permanent exhibitions, as well as temporary installations. You’ll also be able to take advantage of the film screening room. Right around the corner is the YBCA Theater, which is also part of the centre, and hosts artists from around the world on a regular basis. San Francisco is a city that’s made for families. There are all kinds of fun and entertaining things to do for kids of all ages. Here are a few options that you’re sure to enjoy. Take a trip back in time while experiencing the present-day life of a fisherman at Fisherman’s Wharf! The starting point for many different Bay Area cruises as well as the home to a lot of family-friendly attractions, it’s the perfect spot to spend a day with your travel group. Take in all of the sights and sounds of this world-famous tourist location and spend a day on the water. What could be better than that? Used by Italian fishermen in the mid-19th century, Fisherman’s Wharf was redeveloped into a tourist attraction in the 1970s and ’80s. But that doesn’t mean that San Francisco’s fishermen were forced out and made to go elsewhere. On the contrary, the wharf is still home base for many fishermen today. You definitely won’t go hungry while you’re there, as you’ll be able to find a variety of restaurants specializing in local seafood. Many of them serve Dungeness crab, or even clam chowder that’s served in a San Francisco-style sourdough bread bowl. Yum! If you’re not too full to get around, you can check out the Ripley’s Believe it or Not Museum, the Wax Museum, the Maritime National Historical Park, and the Musée Mécanique. If you’re lucky enough to be around for the Fourth of July, you’ll be treated to an amazing fireworks display, and during Fleet Week, you’ll get an amazing view of the Blue Angels as they perform their death-defying feats of aerial agility over the city. Wow! San Francisco is rich with culture and history, all of which are just a chartered bus tour away. And there are few spots where you’ll really appreciate how far back San Francisco’s history stretches than at the Presidio of San Francisco. Originally inhabited by native peoples for thousands of years, it was built as a fort for the Viceroyalty of New Spain — whose territory stretched well in to South America, as far north as present-day British Columbia, east to Louisiana, and back to California. The location was first active as a military base for the Spaniards in 1776. It was held by the Spanish, then by Mexico, and was taken over by the USA in 1848 and was an active military installation until 1989. Since 1994, the Presidio has been managed by the National Park Service. There are many ways to explore the Presidio today, with a museum, a cultural centre, and tours where you’ll learn all about the long history of this amazing tourist attraction. A perfect location for you and your family in your chartered bus tour. Ready for some shopping? Need a bit of family-friendly entertainment to break up the day and keep the kids interested? Are you just plain hungry? Pier 39 is the perfect location for your San Francisco vacation and a great place to take your crew in by bus rental. There is something for everyone at Pier 39. This spot features everything from a world-class aquarium, boat tours around the bay, a stairway that doubles as a giant piano, musicians everywhere, a carousel, and a mirror maze, and more! You could even just stand at the edge of the pier and make a day of it. You can spot sea lions frolicking on the docks, catch a glimpse of the Golden Gate and Bay Bridges, spy on Alcatraz Island, and spot the boat traffic coming in, out, and around the bay. Of course, at the end of the day when mom and dad are worn out, there’s a wine bar for you to wind down in and reflect on the day. Cheers! San Francisco is a dream location for sports fans. Home to some of the most storied sports teams and best athletes in all of history, San Francisco’s sports scene has been booming for decades, and still runs strong today. If you’re a sports fan, you can’t miss these spots. In 2014, Levi’s Stadium replaced the famed Candlestick Stadium as the home venue for the San Fransisco 49ers. Since then it’s been home to a lot more than just football, although the 2016 Super Bowl game was hosted there, as well! 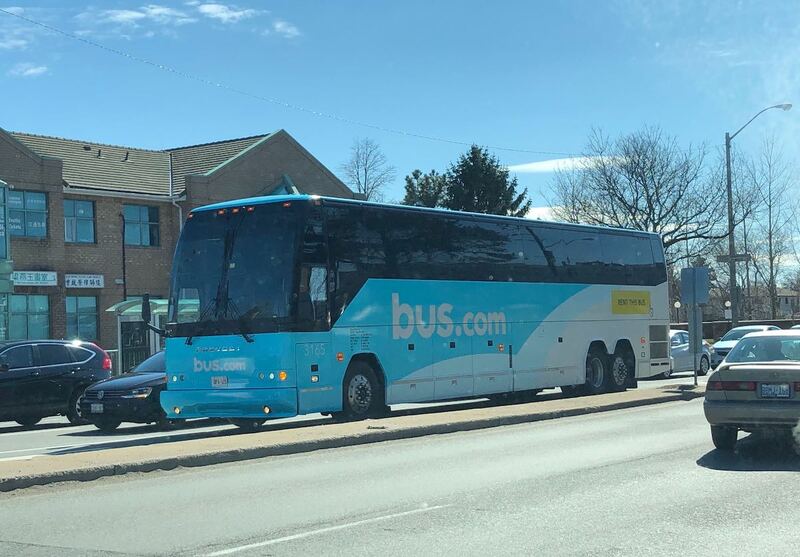 Like many stadiums, the most convenient way of visiting is by chartered bus for a group, which allows you to enjoy the thrills of the day, with none of the hassle of transportation. There’s more to do than just catch a game or a show at the stadium, too. While there, you can visit the 49ers Museum, where you’ll find all kinds of goodies for all 49ers fans. There’s also the Bourbon Steak and Bourbon Pub restaurant and bar, an extensive art collection, and, of course, a store where you can get your 49ers jersey, hat, or pennant. For almost 20 years, AT&T Park has been the home of the San Francisco Giants, where they’ve won three World Series championships. Located right next to the water, you’ve probably seen folks in kayaks and canoes just outside the stadium, waiting for home runs to clear the fence and land in the water, especially while Barry Bonds was slugging for the Giants. The stadium has an intimidating 24-foot brick wall in right field, with a splash counter, showing the number of balls that have been hit into the water beyond the stadium. So far (as of Dec 1, 2018), there have been a remarkable 78 balls to leave the park and touch down outside. There’s more than baseball going on at the stadium. To see it all, you can take one of the daily tours and explore the stadium, its history, sit in a Major League dugout, and experience an innovative new museum, which is named the Giant Vault. A great spot to roll up in your tour bus with your group and enjoy the day! There’s a lot to see in San Francisco, and you’ll want to make sure that your transportation around the city is simple and easy. 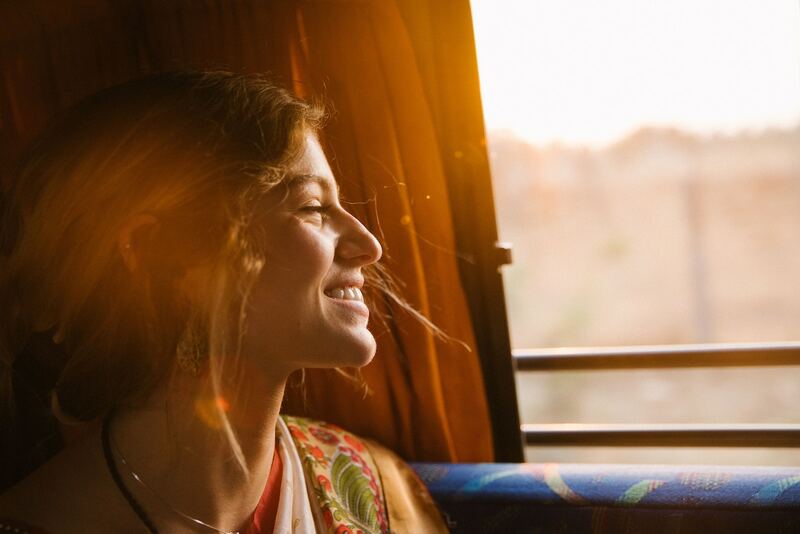 This can be as simple as chartering a bus for your group, and saving yourself the hassle of navigating a strange city on your own. Now, get out there and enjoy the streets of San Francisco!